Home Kratom What Is The True Kratom Color? There has been increased popularity in Kratom for the past few years, with Kratom being one of the most used products in the Nootropics world. It is classified under as a herbal or medicinal product. 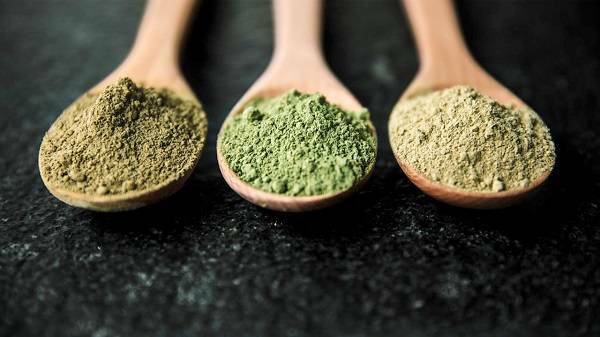 Have you ever wondered what exactly is it that gives rise to the different colors of Kratom? Many people have different preferences of colors according to the effects they can provide. In fact, you can tell a lot about the person’s personality according to his/her Kratom color preferences. We will be talking about the colors of Kratom and the effects they provide so that you can become a better judge of Kratom and the people who use them. What is the Kratom leaf? The Kratom (Mitragyna speciosa) is an evergreen tree that can grow up to 25 meters in length. It is a native plant of Thailand, Malaysia, Myanmar, Papua New Guinea, and Indonesia. It has been a popular part of traditional medicine since many centuries, mainly due to its opioid and stimulant properties. Its active ingredients include certain potent alkaloids such as Mitragynine, 7-hydroxymitragynine, and 40 other compounds. The leaves are harvested and sold to be consumed in the form of powders or various other forms. Different strains have gained much popularity due to the varied effects each one of them provides. What is the true color of Kratom leaf? You might have observed that various strains of Kratom come in different colors. Looking closely you can easily see that it is the stem and vein which is colored. The colors include; red, white, yellow and green. The color of Kratom has its own importance, as the effects of this herbal product tend to vary according to its different shades. Each color means that it has a different chemical composition of the alkaloids and compounds, and different effects ranging from sedative, analgesic, and stimulant. It should be known that during the grinding process the stem and vein which was initially responsible for imparting the leaf its color is removed and only the leaf is ground into a fine powder. Thus, it is important to understand that different colored leaves have different functions and different appropriate times of use. We have all heard different sort of guesses and rumors as to how do the red, white and green strains get their colors. Some claim that it is due to the region they were grown in, some say maybe the climate and some think that it may be due to the cycle in which they were given water. It should be understood that all of these are just pretty much made up points and are not at all true. The logical explanation we found out was that the originating color does not make much of a difference, whereas, the real difference is made in the harvesting step. The factors which depend on the vein color are; how the leaf was dried (inside or outside), how much sunlight/lamplight/UV radiations it was exposed to, and the fermentation process. This article will make you understand the point by using a working example; whites are always dried inside without any light exposure, while the reds are dried by using either sunlight or lamplight. Greens are dried inside air-conditioned and temperature controlled rooms with no light exposure. The yellows are a little peculiar as they aren’t an original color. Instead, they are blends of two colored strains which are later fermented. So, we hope that this explanation makes it easier for readers to understand and uncover what exactly is responsible for the different colored leaves. Red Vein Kratom is by far one of the best selling Kratom strain out there. It is sold more than the green and yellow strains of kratom combined. This is mostly due to the fact that it readily grows in any environment and has a larger production rate as compared to other strains and is a great substance for beginners. This strain is known to have a lower concentration of the potent alkaloid Mitragynine and 7-hydroxymitragynine and a higher concentration of Speciociliatine, which makes it the best bet for chronic pain and for banishing stress and anxiety. It helps to a great extent in dealing with insomnia by producing calming effects, peace of mind, a feeling of general optimism, and relaxing the body muscles for a comfortable deep sleep. White vein Kratom is a stark opposite as compared to the earlier discussed Red Vein Kratom. It is not recommended to be used by beginners or users who cannot tolerate strong effects. Beginners who are really adamant to use this strain first are advised to start using it by mixing it with red and green variants to make a more milder hybrid. The white vein is discouraged to be used in the evening and encouraged to be used first thing in the morning due to its stimulant effects which can even replace coffee or tea. It acts as a cognitive enhancer and provides mental and physical alertness and motivation which is needed first thing in the morning to increase productivity. Apart from sharpening the focus, it also works against stress and depression by encouraging feelings of cheerfulness. It is a great product for people who experience fatigue as a side effect of depression. Green Vein Kratom does not have effects that are far off from the two earlier described strains, in fact, it is more of a mixture of the red and white strains. It also comes second in popularity after red and white Kratom. The flavor is reported to be less bitter than red Kratom. All in all, it is thought to be a more moderate and sophisticated strain. Green vein Kratom has a unique effect as it helps mask social fear which is why it is used for recreational purposes while heading out for a night full of fun. It reduces shyness, increases talkativeness, and makes you feel more comfortable and relaxed while communicating with strangers. Yellow Kratom strain is also referred to as the Golden Kratom strain. It goes through a complex drying process to achieve the depth of this color. It also has a unique scent and flavor which does not resemble the rest of the strains. This strain of Kratom has mind-clearing abilities and helps clear the visual perception and focus. It is a popular product used by artists who need to hone their aesthetics. For a Kratom beginner, it is really important to understand what they are buying. It is important to keep in mind that the color of Kratom is just an indicator of the way it was processed. It does not affect its purity and potency at all. You can ask yourself a few questions about the sort of effects you are looking for while comparing the product description of the strain. After reading this article, you will be better off while Kratom shopping as you will already be armed with enough knowledge about this product which will help you make the right choice.